After the initial post “On Karachi” was much appreciated and well received, I thought of writing another one to cover some left off areas. The idea is to focus on the specifics of the city, and mention the hidden good points of the city with the covered sarcasm. All the mentions about places, people or events are based on my personal perception, and I really have no intention of hurting anyone’s sentiments, but to share things about Karachi from my lens. 1. Native Jetty offers a wonderful view, but you can’t stop there and feel the serenity for long because that is not allowed due to so many suicide incidents. 2. Burns Road Punjab Lassi House uses “Shikarpuri dhoodh” – the one that is kept frozen and reheated in the shop next to theirs. They time the milk delivery after 1.30am. 3. Misquita Bakery in Saddar probably has the best “double roti” in town. 4. Pakistan Steel Mill is also a part of Karachi. 5. Abdullah Shah Ghazi’s is an all-purpose mazaar. Apart from the reverence some people have with the saint, a lot of people go there for other reasons. 6. Quaid-e-Azam’s mazaar is the earliest daters’ paradise; now, they’ve started renting the room by his grave for an hourly rate. 7. Even when we love Lahoris, we’re going to keep comparing them to us all the time. Let’s accept we are somewhat different. 8. In most areas, you would find a decent mosque, but not a half decent public washroom or library or a park. Sad. 9. People don’t like walking on the footpath all the time – a lot of them just love the adventure of dodging cars coming from the other side. 10. Gulshan is bigger than some countries in the Europe, so yes a diverse lot lives there. 11. The government needs money to function, so all tax payers must pay more tax. Most taxpayers and filers will still get an SMS or mail from FBR almost threatening the person to pay more every once in a while. 12. Dar-ul-Sukoon and The Citizens Foundation are doing great work. Support them. 14. There is a donkey cart race every sunday, and the star performer donkeys have names and a lot of respect in the in-group. 15. Jackson market is near Keamari, where you find some excellent second-hand in cycling bikes and accessories. 16. You can virtually find a rickshaw in every area. Now you can even Uber or Careem it in many parts of the city. 17. Keep wondering about the ridiculously low price points of the bar-b-que served in stalls in Saddar. 18. Students’ Biryani is a fainted glory at best now. 20. Domestic servants are there in many households, some families have up to 4 – and they’d still say they don’t find time. 21. Most traditional Chai stalls (a.k.a Dhabas) are owned by Khans from Quetta. Many new ones are not really dhabas anymore. Rather, they’re less glorified bistros catching up on the bandwagon to cater to a niche who would not otherwise think of going to a dhaba. 22. It is still a mystery if the Chai stall near Railway Station on I.I. Chundrigar and Pyala hotel use some “extra ingredients” to make their chai so addictive! 23. 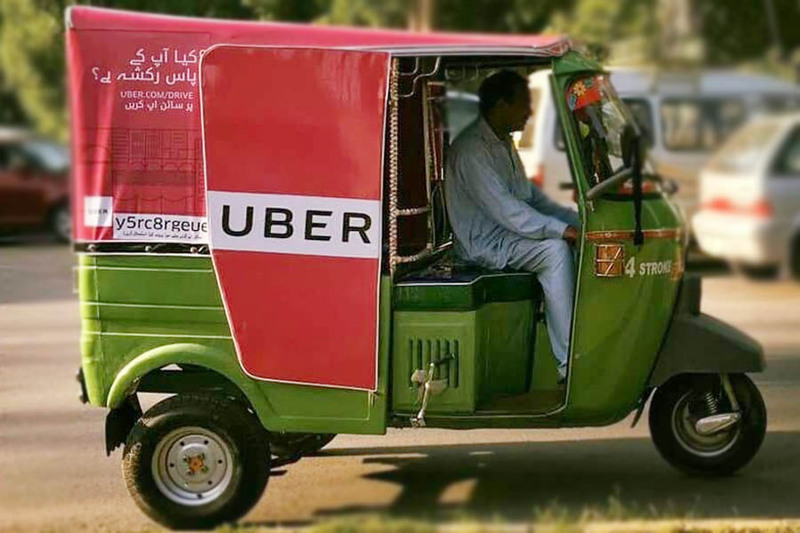 Uber & Careem have become game-changing models in transportation business in this country. Way to go! 24. Karachi Zoo, a.k.a., Jinnah Park (or famously known as Gandhi Garden) is not a good place to visit on weekends due to the sheer crowd that goes there on weekends. 25. SWOTs and KFD reviews are not always genuine – sometimes the reviews are really not indicative of true quality of food. 26. Google Maps has made life easy for most who care to check the latest traffic situation of the city. 27. Karachi Eat Festival is a good festival that now happens every year. It’s overhyped because that’s one of the known festivals of the city and also because it involves food. 28. Frere Hall still puts up weekly book stalls every Sunday – good to visit every once in a while. 29. Imtiaz Shopping Centers have changed household shopping for a good chunk of Karachites. 30. You can order food online pretty much any time of the day. 31. Regardless of where you live in the city, the quality of roads would bother you and cost extra repairs on your vehicle. 32. Chinese people can be found all around the city nowadays – sometimes they don’t even speak English and are selling stuff to random people on the road. 33. 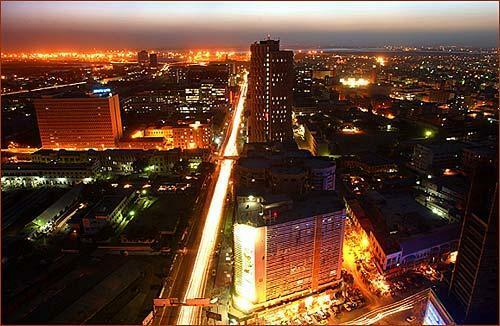 Karachi is a really big city and there would hardly be someone who is well versed with all areas. 34. There are some amazing snorkeling points nearby, so you can surely go and have fun. 35. Arts Council sometimes showcases some amazing plays – most of those are worth buying a ticket to. 36. You can find really talented and educated people in almost all fields in this city. 37. You must try Javed Nihari for the authentic nihari taste. 39. You shouldn’t always trust the Careem Captain who says his phone is having problems and he would mark the trip as complete in a short while. 40. (I know this one is a repeat) – Despite all odds, this city is such a melting pot of cultures, languages, customs and faiths, it lives in the hearts of all Karachites, wherever they go.